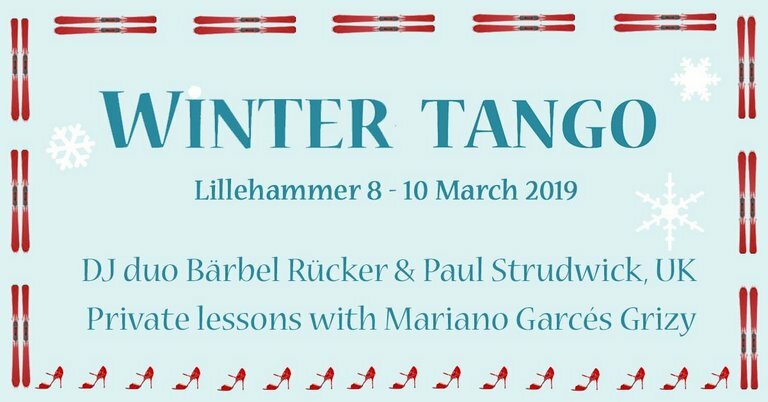 In March 2019 I will be DJ’ing together with my partner Paul Strudwick at the Winter tango 2019 in Lillehammer. This tango weekend is organised by Sissel Berg and TangoBanco, the tango club in Lillehammer. 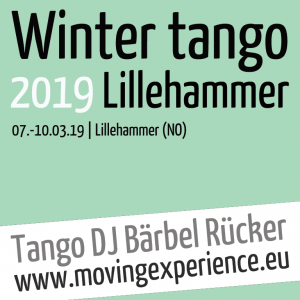 “Winter tango, which will take place at the Hornsjø mountain resort 8-10 March, is all about good music and a great social atmosphere, where everyone will get to dance “a lot with many”. Think of an intimate milonga setting where understated dance movements are more appropriate than high boleos; this event will suit everyone who likes to be able to dance in harmony with the other dancers on the floor. Rather than classes, there are practicas during the day and milongas in the evening, all with music provided by two DJs. 15.00 Departure from the hotel. The registration opens 1st December 2018 12:00, noon (GMT+1).